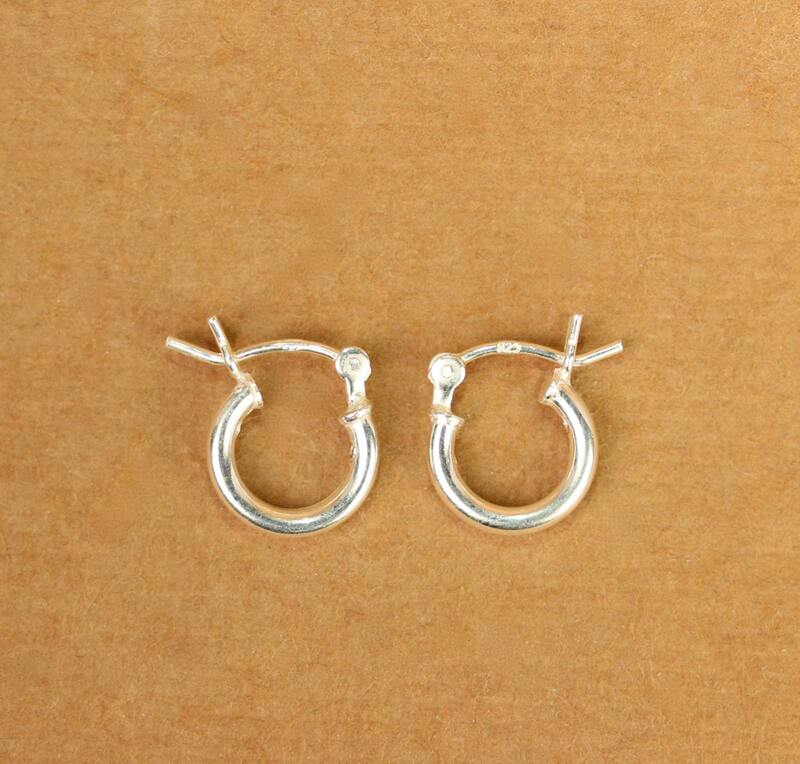 A cute and easy to wear set of sterling silver hoop earrings. Looking for other charm necklaces? Want to see more gems? I am currently accepting Paypal, direct check out and ApplePay! Just so you know... you can use cards through paypal without having a paypal account! All items are shipped from sunny Los Angeles. Unfortunately, I cannot be responsible for packages once they have been turned over to the postal carrier. If you wish to have more protection through the post office please purchase shipping insurance. You may contact me if you would like to add this option and I will add the cost to do so. For most items, and all stated, orders ship within 3-5 business days. International packages can take up to 10 weeks including potential customs delays. Rush orders are either expedited through me making them faster, or by shipping them with priority mail. Expedited shipping is not guaranteed through USPS unless it is shipped with priority mail EXPRESS. In the case your package was shipped with priority mail EXPRESS and not delivered in the declared time frame, your additional shipping cost will be refunded Items shipped with priority mail can be delayed as first class packages can also. USPS does not refund in either of these cases. Orders can be cancelled within 24 hours, after that there will be a 30% restocking fee as the item may already be made, ordered into stock, or in process. **International shipping can take up to 5 weeks depending on Customs. Usually international packages average between one and three weeks. Please be patient. CUSTOMS FEES - The buyer is responsible for any customs fees. Orders will not be refunded in the event where international customs fees are refused by the buyer. Please let me know if this is a gift and I will wrap and pack it pretty for you. I can also ship it directly to the receiver if you like. Please send me a message with details. Missing packages shipped with tracking numbers via USPS are unfortunately beyond my control. Please contact your local postal service for additional information. Insurance is automatically included in orders over $50. Packages sent within the US that have not been delivered within 21 days from the shipping date will be refunded or replaced as per the buyers preference. Once a package enters the postal system, it is beyond my control. Any missing international packages will be replaced if not delivered after 10 weeks (70 days) days. If you have any issues with your order please contact me as soon as possible, (within 7 days MAX of receiving your item) all situations can be solved in a friendly manner and I appreciate kind communication. If an item arrives damaged, please take a photo and send it within 7 days of receiving your order. I will replace, repair, or refund at your request with no added expense for shipping to the buyer. 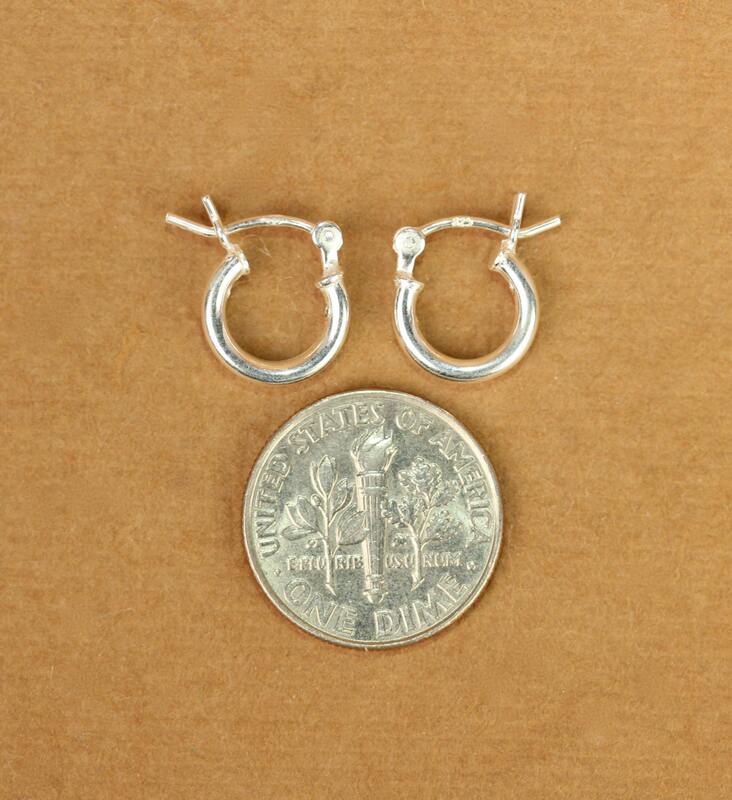 **Most pieces are made on a 1.2 mm gold filled, gold vermeil, and sterling silver chains. These are delicate and dainty as that is the desired aesthetic. If a chain needs repair 7 days or sooner from being received, they will be repaired free of charge. Chains that are damaged or broken after this point will be repaired and charged to the buyer based on the style and length and the buyer will be responsible for the cost of shipping. Please triple check your Etsy address is correct! I unfortunately cannot be responsible for lost orders shipped to an incorrect address. However, If your package is returned due to an incorrect address I will happily ship it again. We all make mistakes! ADDRESS CHANGES after placing your order are not guaranteed. Please make sure your shipping address is correct before placing you order. As the majority or my items are made to order, I do not accept returns. In the circumstance where an agreement has been made, there is a 30% restocking fee, not including the cost of shipping (which is non refundable). This restocking fee is used for the fees and time used to originally list (and relist) the item. 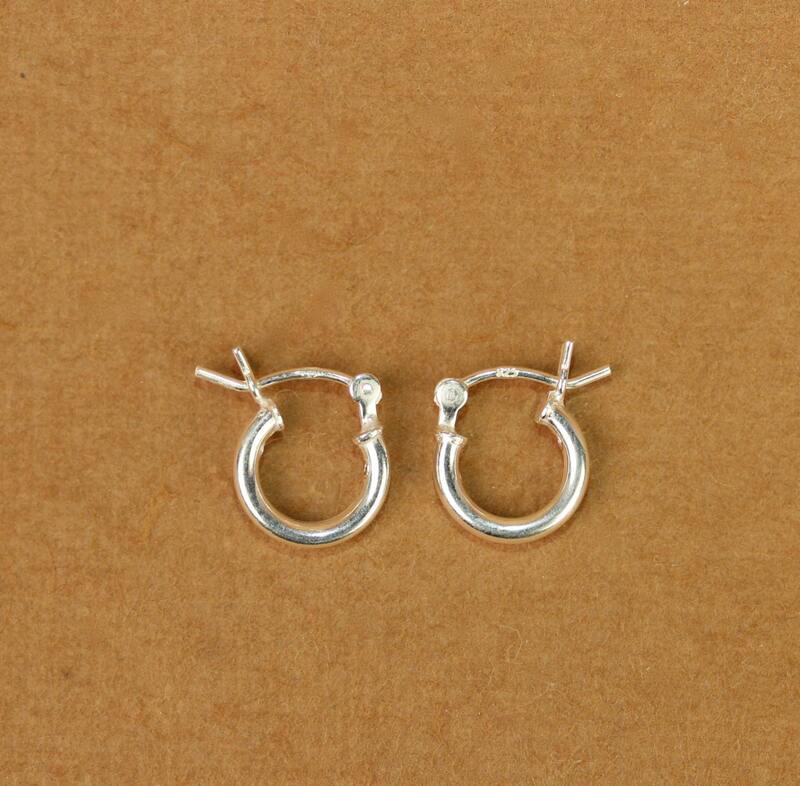 Earrings are not eligible for return or refund for sanitary reasons. In a circumstance where a refund is agreeable on a missing package sent with no tracking, in the US only, the refund will not be issued for 21 days to allow time for the package to arrive. In the event of a return, Buburuby will supply one prepaid return shipping label to be printed within 24 hours or receiving it, as they expire. The label is to be attached to the package and returned in a similar way as it was received. If the label expires, or the package is not shipped in a sufficient way, or delivery is incomplete, it is the buyers responsibility to cover the cost and/or loss. Buburuby is not responsible for mishandled return items. In the event of a return, Buburuby will supply one return shipping label to be printed within 24 hours or receiving it, as they expire. The label is to be attached to the package and returned in a similar way as it was received. If the label expires, or the package is not shipped in a sufficient way, or delivery is incomplete, it is the buyers responsibility to cover the cost and remedy the situation. Buburbuy is not responsible for mishandled return items. **Returns for refusal to pay customs/import fees may be refunded with a 50% restocking fee. Postage costs will not be refunded. **Return to sender for unclaimed packages or an incorrect address may be refunded with a 50% restocking fee or can be resent with shipping charges being paid by the buyer. The original cost of postage will not be refunded. Custom orders unfortunately cannot be refunded and may require a deposit before they are made. Once the order has been paid for, it is in the process of being made and cannot be refunded. Lets work together to make it better! Please contact me within 7 days of receiving your item if you would like to make an adjustment. I am able to create custom sizes. Please always ask if you have any size request by the time you order - if there's no request I'll ship the default size stated on the product description. It is the buyers responsibility to ask for custom made sizes. If the item does not fit, I am more than happy to fix and adjust it, if and when possible, and the item will be re shipped at the buyers expense. You are more than welcome to cancel your order within 24 hours of placing the order if it has not been shipped yet. I unfortunately cannot cancel an order once it has been shipped. For any questions or concerns regarding any orders placed on Etsy, please send a message through your Etsy account with your username (emails regarding Etsy issues need to be forwarded through Etsy with your username and may not be responded to via email. All messages sent through Etsy will be answered. * Packaging - Most items are sent in gift boxes, the majority of international order are sent in a gift pouch to reduce the cost of shipping for everyone. Invoices/ gift receipts are not sent with orders to minimize waste. Order information and history can be found in your purchase history. ***Jewelry care - Items cannot be refunded or returned for lack of care or maintenance. Please follow the instructions below! * Gold Filled and Gold Vermeil - do not wear your gold filled or gold vermeil jewelry in the shower, or when swimming or exercising. Please do not use jewelry cleaning solution or chemicals, as the can strip the gold layer on your charm or lining. Avoid contact with perfumes, oils, lotions and hairspray as the can tarnish your charms. They are best kept in a little zip lock while they are not being worn to prevent oxidization. *Please contact via Etsy messages regarding any concerns. Emails sometimes go to junk mail and will most likely not get a response. *Any adjustments made after placing your order are not guaranteed. Please be careful when selecting your dimensions and when entering in your current address. Keeping up with the demand of too many changes cannot always be maintained or guaranteed. "Please contact Buburuby regarding any allergies prior to purchase or usage if you have any know allergies or allergy concerns. *Allergy Disclaimer - Buburuby including any/all of its affiliates will not be held responsible for any allergic reaction to jewelry either made by or sold by Buburuby. With proven hypoallergenic reactions or severe reactions to jewelry it is highly likely that your sensitivity response is different to the next person. Some people can react to any form of metal, whether it is precious or not, while others may have no reaction and/or don't even realize they have an allergy. It is common to confuse precious metal allergies with irritation from some other source which are often overlooked including dirty or ill-fitting jewelry. If your jewelry has been plated, it may be that the plating metals are causing an allergic reaction, not the precious metal under it. For example, some rhodium and gold plating has a barrier-plate of nickel - a common metal which can trigger allergies. You may have an allergic reaction to the nickel content in a layer of the plating but not the precious metal underneath it. Sterling silver is "alloy" based, of which 92.5% is pure silver and the remaining 7.5% of the alloying made of other metals. This is why a Sterling silver hallmark can read "925", meaning (at least) 925 parts of a 1000 parts. It is this ratio of 92.5% pure silver and 7.5% other metals which essentially enables silver to be hallmarked "Sterling". Medical research indicates that once you have developed an allergy to nickel, your body's immune system can occasionally (rarely) mistakenly identify palladium and cobalt as nickel whereby your body reacts as if these metals were nickel. *Parents and guardians should only allow children over the age of twelve to wear any type of jewelry. Children over the age of twelve should only wear jewelry items under constant supervision of the parent or guardian supervision and only for special occasions. In no event will Buburuby including any/all of its affiliated be liable for any loss, damage, injury or death whatsoever, including without limitation, indirect or consequential loss, damage, injury or death arising from the ownership, usage, handling or wearing of any jewelry piece sold, repaired, redisigned or worked on in any way by us. IMPORTANT: If you wear a pacemaker, always check any jewelry yourself for magnetism which may affect the functioning of your pacemaker. In no event will we be liable for any loss, damage, injury or death whatsoever, including without limitation, indirect or consequential loss, damage, injury or death arising from the ownership, usage, handling or wearing of any jewelry piece sold, repaired, redesigned or worked on in any way by Buburuby including any of its affiliates which may contain magnetism." No pieces and/or designs in any of my photos are to be duplicated, reproduced, or copied without my personal, verbal and written permission. Etsy, Inc. ("Etsy") has adopted the following policy toward copyright and intellectual property infringement in accordance with general U.S. intellectual property laws and the Digital Millennium Copyright Act (http://lcweb.loc.gov/copyright/legislation/dmca.pdf). Etsy will respond to notices of this form from jurisdictions other than the U.S. as well. The address of Etsy's Designated Agent to Receive Notification of Claimed Infringement ("Designated Agent") is listed at the end of this policy. Etsy may act expeditiously to respond to a proper notice by (1) removing or disabling access to material claimed to be subject of infringing activity; and (2) removing and discontinuing service to repeat offenders. If Etsy removes or disables access in response to such a notice, Etsy will make a good-faith attempt to contact the allegedly infringing party ("Member") so that they may make a counter notification. The accused can be sued. If necessary, a Statement of Claim against the wrongdoing artist will be made. The claim might ask for relief such as for the wrongdoing artist to stop doing something or misrepresenting the artwork, or the claim may seek damages that have been suffered as a result of the other artist using copied work. If you are on a mission to find something specific, feel free to message me and see if I can help! Or if you see a piece you would like something added to or removed from, just ask and I can let you know what is possible. Wholesale inquiries are welcome, please e-mail me for more info at buburuby@hotmail.com. When payment is complete on wholesale orders, no refund for any reason will be given.